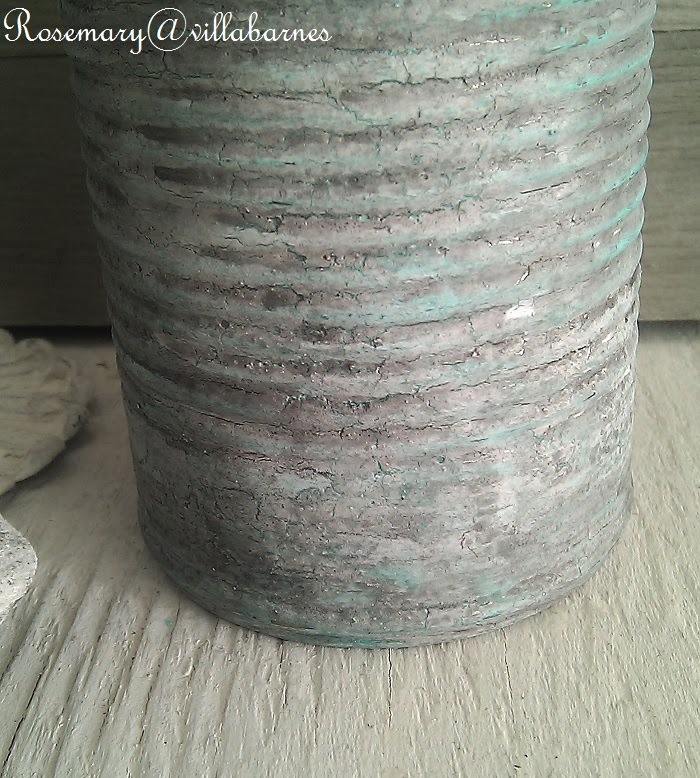 I decided to "Old World" a tin can today. I gave it a good cleaning, and, covered the surface with glue. Yes, just plain, slightly watered down white glue. By the way, between each layer of what I'm about to show you, I used a blow dryer. Cause, I'm impatient. After drying the glue, I used acrylic paint. 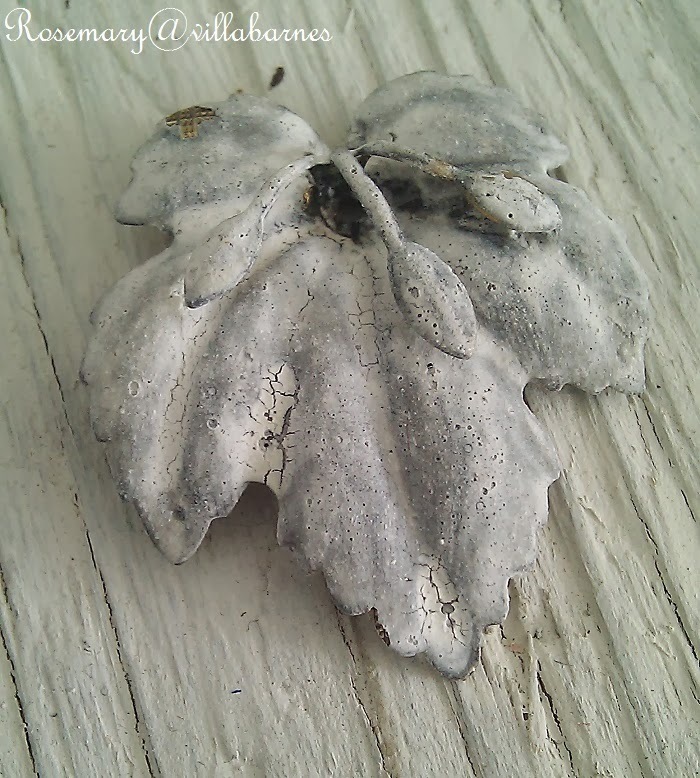 I shared a while back how glue acts as a crackle medium. You can review that post HERE. I'm using it between each of the following layers. Next, another layer of glue. I just glopped it on this time. I brushed on a couple layers of homemade gesso, followed by more drying. 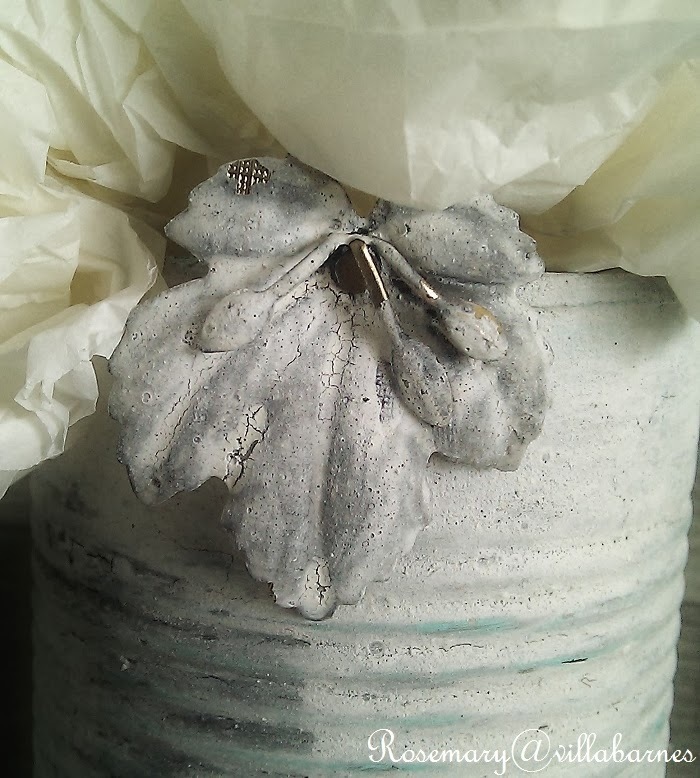 This is the gesso recipe from the Farragoz course. 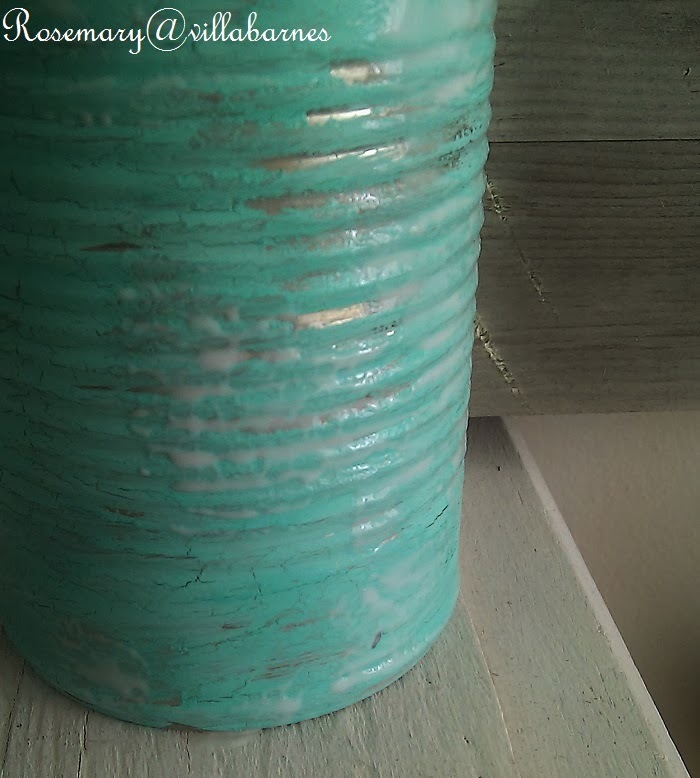 You can use acrylic paint, but, it won't crack the same way, or, have the same texture. This is a nice look, and, some of you may want to stop right here. another sloppy layer of gesso. The imperfect application is what gives you this look. You can still see the layers of color underneath, and cracks. While drying the last layer, I thought it might need a little something extra. 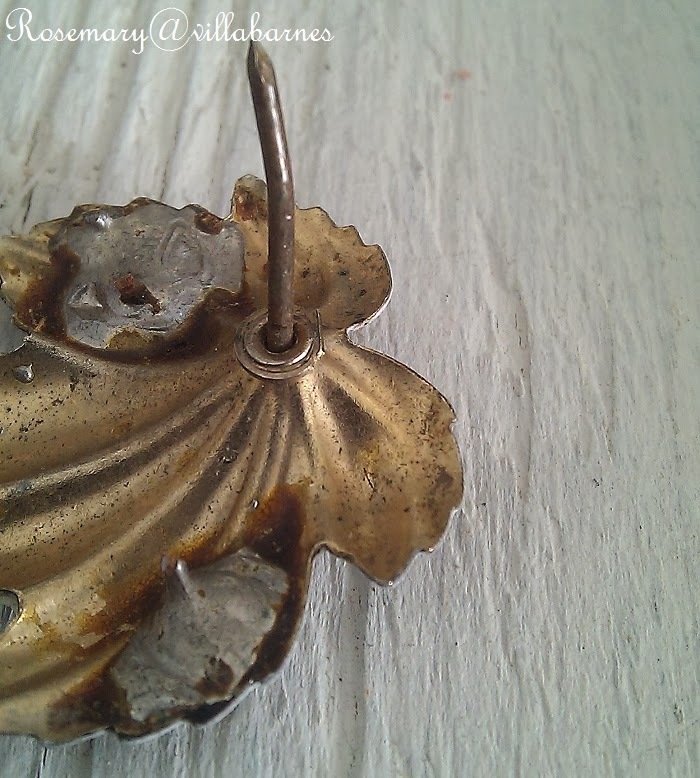 I painted this leaf a while ago, using similar colors, but, a different technique. It makes a nice addition. and, bent it. Right now, it's just hanging on the side. I may attach it later. A few of my tissue flowers, and, I was done. I hope all of you who are experiencing a brutal winter, like myself, are keeping safe and warm. I took this shot yesterday. Check out the icicles. I'm looking on the bright side. I'm staying warm, and, busy. Love this technique, Rosemary! Really does make the can vintage looking. So beautiful! WOW! I am going to try this Rosemary!! It looks amazing!!! What a great technique, Rosemary! 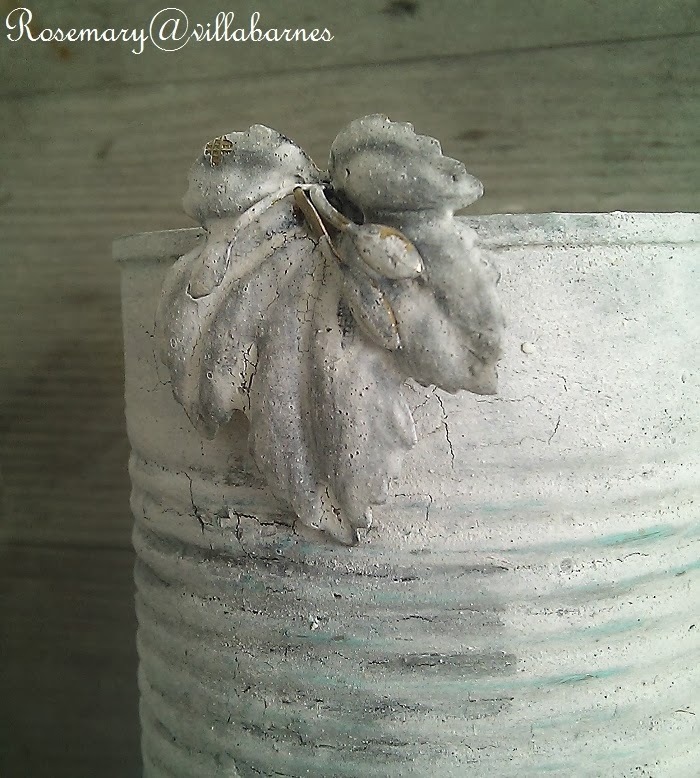 Amazing what you can do with a tin can! Lol! I've used white glue many times for a crackle finish. I never thought to try it on metal. Your tin can look so cool Rosemary. I love the added leaf. I'm definitely going to try this technique, Rosemary. Thanks for sharing it. I can't believe your weather. I'm freezing cold just looking at it. Stay safe and warm. Thanks so much for sharing how you did the can--awesome! The icycles are beautiful! 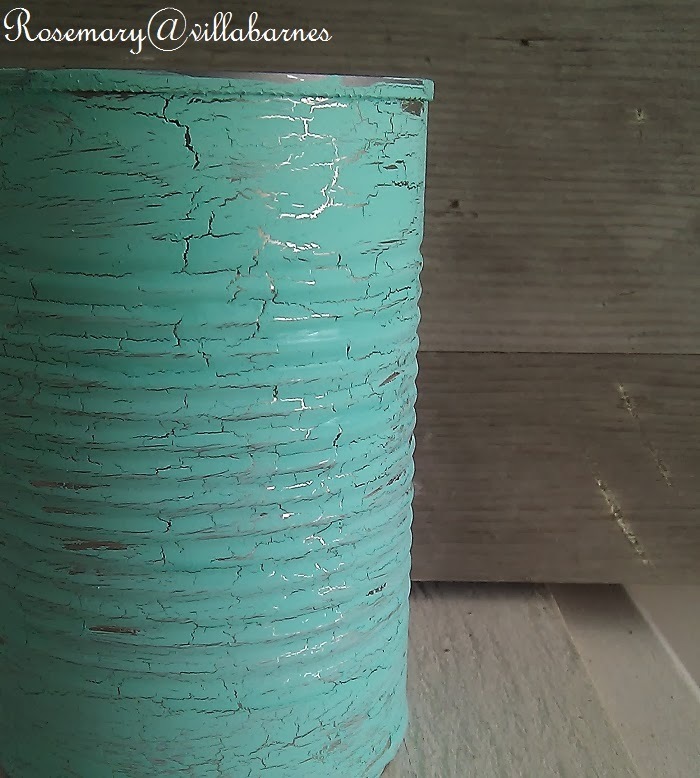 Only you can turn a tin can into work of art! 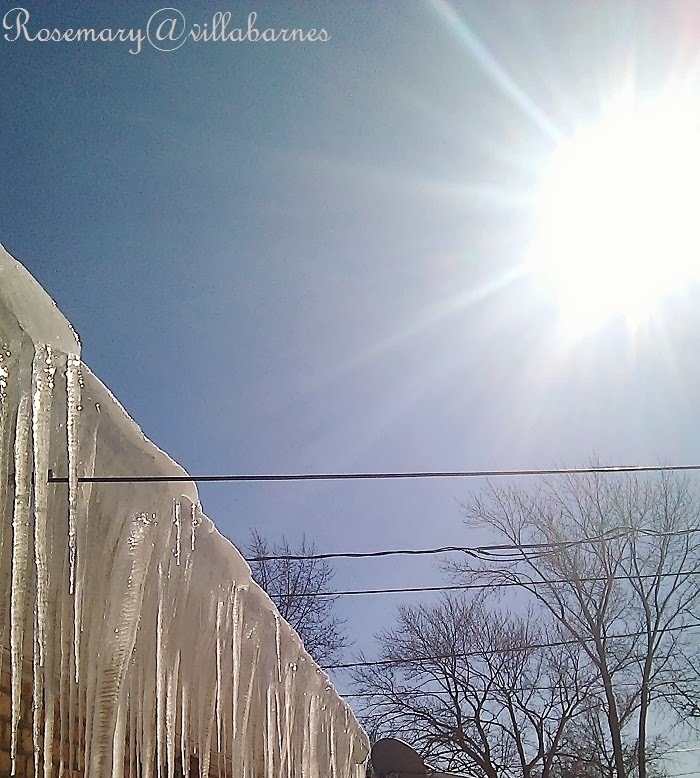 I think your icicles are bigger than the ones hanging from my eaves. Spring cannot come too soon for me. Thank you soooooo much for share Rosemary!! I always wondered how could you get this "fat" and crackele effect. Perfect example of turning 'junk' to treasure! Love the layered look, so simple and cheap! Yep, lots of ice....should get those off the roof. 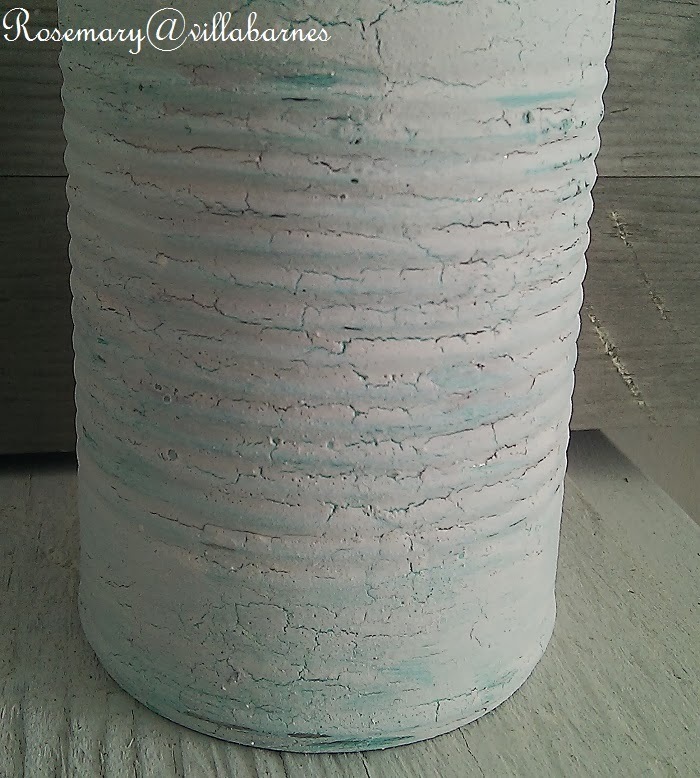 I love how you used the glue in-between layers to make the cracks. Thanks for sharing your technique! I have heard of this technique and am curious to try it. Your can came out so sweet. Stay warm my friend. Could go to -10 tonight for us. Ughh! Thank you for sharing this idea. 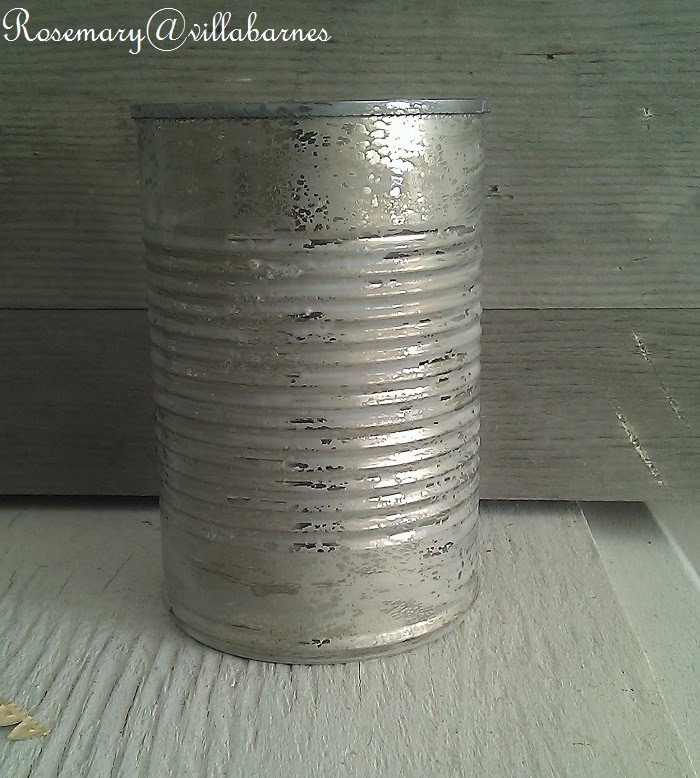 I have been thinking of aging some cans but hadn't figured out how yet. Can't wait to try this! Only you could take a tin can and turn it into a work of art :) Enjoying the sunshine and yes, the icicles it's creating. Hoping the forecast for next week is correct so we can start melting some of this white stuff! 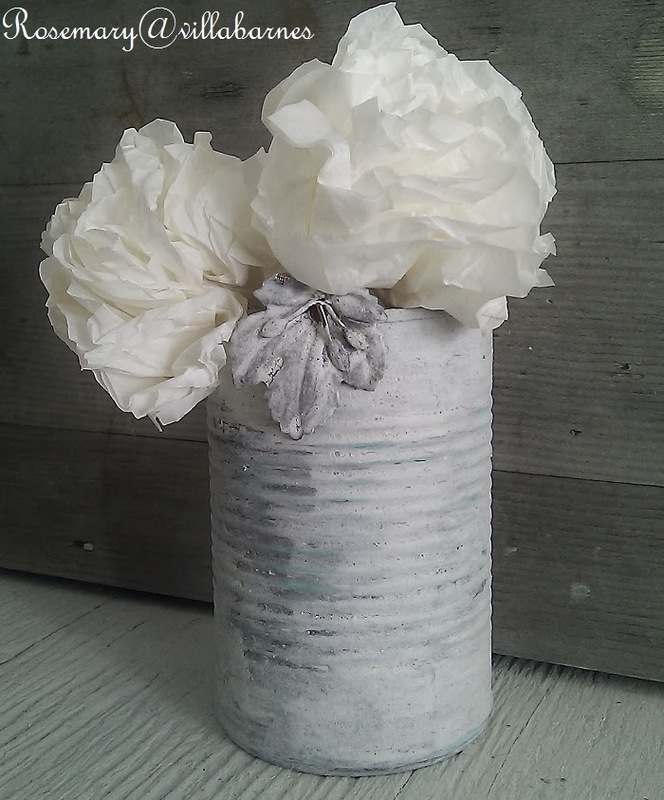 I lové thèse tin CAN containers, we have all made one in our life, be it a grade school art project or a Mother's Day can vase filled with paper flowers. Yes, how well I know this can. I never tire seeing one gusted up! As for your, truly divine. Perhaps you will add that childhood Rick rack around it and some blingish embellishments as well. It's a can that I am sure will take on more then what we see now on down the line; it's kind of what happens to them for some reason we just can't leave them just be. Thank you for your truly wonderful piece full of memories for me! Rosemary I love how this piece turned out. T he icicles, wow they are huge. I am so very tired of this winter. It snowed again last night and is freezing out, not to mention our home is at a standstill since it is so cold. We are loosing our minds, UGH!!! Only you can make an ordinary can look this gorgeous. Those icicles look dangerous...don't walk too close. 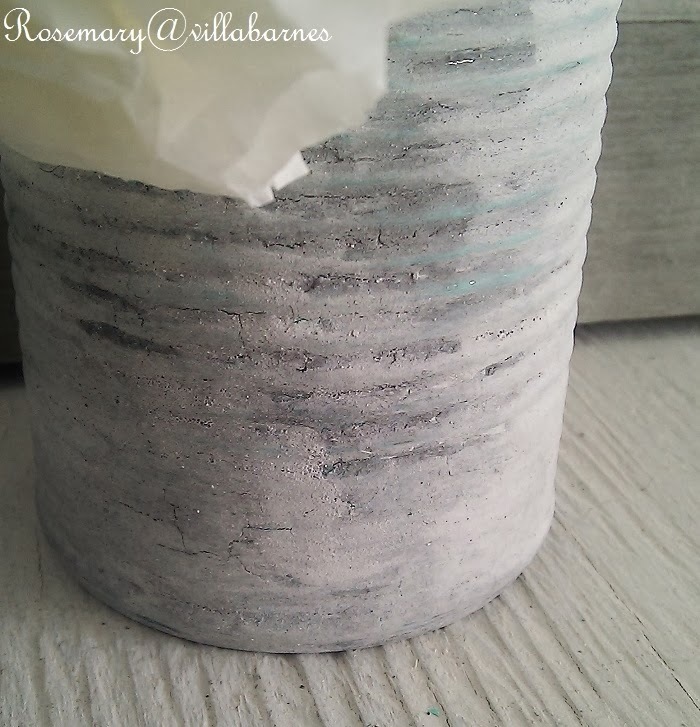 Love this idea, Rosemary! I just saved some cans and painted them and now they look blah and boring next to your beautiful ones. I'm going to have to change that. You're always so inspirational, thank you! !